Learn about our Cannabis Licensing and Business Services in Canada! There are many different licenses each serving a different purpose. We can advise you on the license that makes the most sense for your situation. Your business is more than just a license. From the business plan proposal to the actual design of your facility, we cover all aspects of your business. Our team of experts hold more than 15 years experience being considered cannabis consultants of Canada. We believe in transparency with costs. There are many Cannabis licenses in Canada and knowing which license you need is key to your success. We can help with Standard Cultivation, Micro Cultivation, Standard Processing, Micro Processing, and Nursery licenses. Cannabis licensing applications that are not filed properly, or incomplete, will get rejected. This can get you stuck in the process for years costing you both money and time. Let Growth West, the cannabis consultants of Canada, get you approved the first time. Our team has over 15 years experience in the Canadian cannabis business market. We have seen clients grow from license applicants to successful businesses. We want to help you in every aspect of your business from applications to business development. 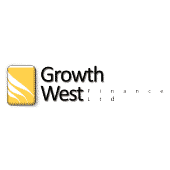 Learn more about Growth West and the team that will turn you into a successful cannabis business in Canada. Nigel's qualifications in business, law and sciences, and professionalism along with in depth experience produced a detailed business plan which helped us with financial planning and Health Canada. I enjoyed working with him. We want to learn more about you and your business. Reach out and connect with us today.